The Road to My Avennyou-Fashion Exuding Personal Style Part 1: Is This Me? 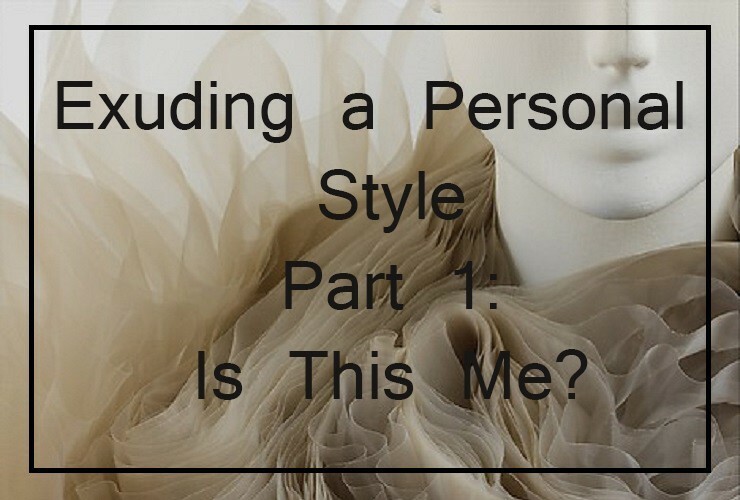 Exuding a Personal Style Part 1: Is This Me? A week into 2015, with celebrations, vacations and resolutions all behind us and a sense of anticipation in the air, there is no better time for a heart-to-heart with yourself. To remind yourself of those precious attributes that make you the person you are; some you were born with and others acquired over the years. Building your own signature style is an example of the latter. Our style is a mean of presenting to the world who we are or who we wish to be. Establishing a decent capsule wardrobe of staples is your raw material. However, as with any other means of personal expression, the challenge of adopting a personal style has both its pros— namely the creation of an external presence to complement your inner being—and cons—the need to liberate yourself from the ignorance and indifference of your clothing choices. Pursuing your own personal style and preferences will, by definition, save you from being a victim of passing trends, as well as help to strengthen your fashion backbone. It is fascinating to consider which comes first: is it a firm internal self-esteem that drives a confident appearance or vice versa? Exuding a confidence which balances both your inner and outer beings, thus animating your presence and impacting your social interactions, is something that requires maturation. Just as internal confidence is reinforced by positive action and gratifying results, so too external confidence is built by observing, learning, getting feedback, and enriching your preferences and choices. For more images visit us on Pinterest.